December 18, 2018 – Sierra Nevada Corporation’s (SNC) Dream Chaser spacecraft passed a key milestone for NASA’S Commercial Resupply Services 2 (CRS-2) contract, validating design performance and clearing the way for full spacecraft production. 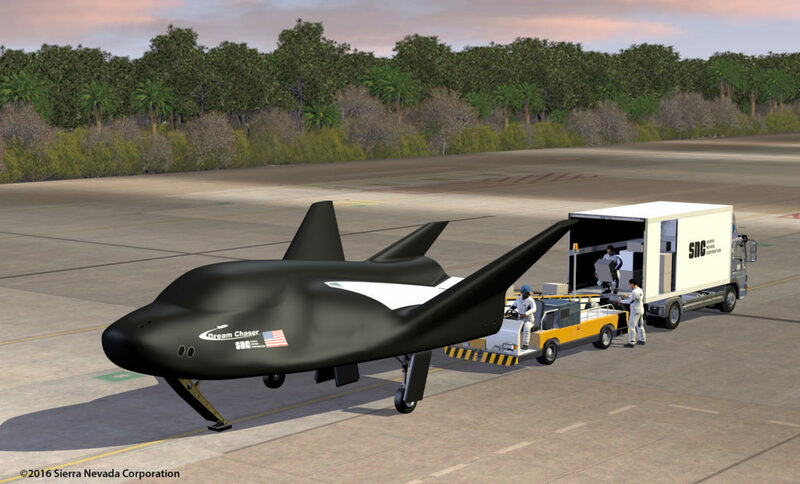 The milestone marks completion of Integration Review 4 (IR4) demonstrating NASA’s confidence in the safety and maturity of Dream Chaser’s design. “NASA’s acknowledgement that SNC has completed this critical milestone and its approval of full production of the first Dream Chaser spacecraft is a major indication we are on the right path toward increasing vital science return for the industry,” said John Curry, program director for CRS-2 under SNC’s Space Systems business area. Many critical parts of the orbital vehicle are already complete, built and being tested, including major structural components, thermal protection system tiles and avionics hardware. With the success of IR4, these components are now being integrated into the orbital vehicle assembly at SNC’s Space Systems facilities in Louisville, Colorado.